Read this article in the digital edition of our January/February 2019 issue. 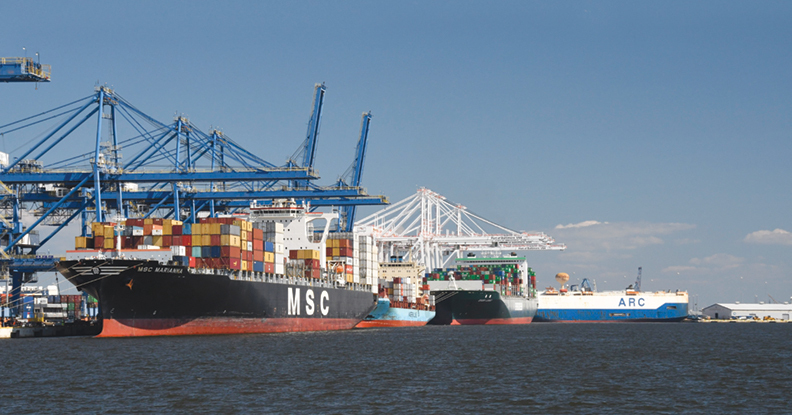 Federal lawmakers showed their support for the Port of Baltimore and its pivotal role within the national maritime industry by securing a $6.6 million federal grant to build an additional 50-foot-deep berth to accommodate some of the world’s largest container ships. The federal grant, awarded through the BUILD (Better Utilizing Investments to Leverage Development) program, will be used to construct a second berth capable of handling large container ships and cargo as part of the Seagirt Marine Terminal modernization project. This will considerably increase the region’s shipping and trade capacity, resulting in an added beneficial economic impact and more jobs for Maryland. U.S. Senators Ben Cardin and Chris Van Hollen, along with Congressmen Dutch Ruppersberger, Steny H. Hoyer, Elijah E. Cummings, John P. Sarbanes, Andy P. Harris, John K. Delaney, Anthony G. Brown and Jamie B. Raskin, made a joint announcement about the funds. The overall cost for deepening the berth will be $32.7 million. In addition to the federal money, the state has awarded $7.8 million toward the project, and Ports America Chesapeake, which operates the Seagirt Marine Terminal for the Maryland Department of Transportation Maryland Port Administration (MDOT MPA), will supply another $18.4 million. This second 50-foot-deep container berth will allow the Port to handle two supersized container ships simultaneously. The growth should pave the way for the Port to break even more records for handling cargo. Construction is scheduled to begin in the second half of this year and take approximately one year to complete. Under a public-private partnership agreement signed in 2010 with Ports America Chesapeake, a 50-foot-deep draft berth was constructed at the Seagirt Marine Terminal. The Port is one of only a few East Coast ports with a channel that is deep enough to accommodate these massive container vessels that come through the Panama Canal. Last fall, the Port welcomed the largest container ship to ever visit Maryland when the 11,000-TEU (twenty-foot equivalent unit) container ship Gunde Maersk arrived at Seagirt. The largest container ship to previously visit the Port was an MSC vessel that had a 9,700-TEU container capacity in 2017. The Port has seen significant growth in its container business over the last several years. Last year, a record 596,972 containers made their way across the Port’s piers. Through October 2018, containers were 5 percent ahead of last year’s record. Most TEU (twenty-foot equivalent unit) containers in one month: 90,152 units in May. 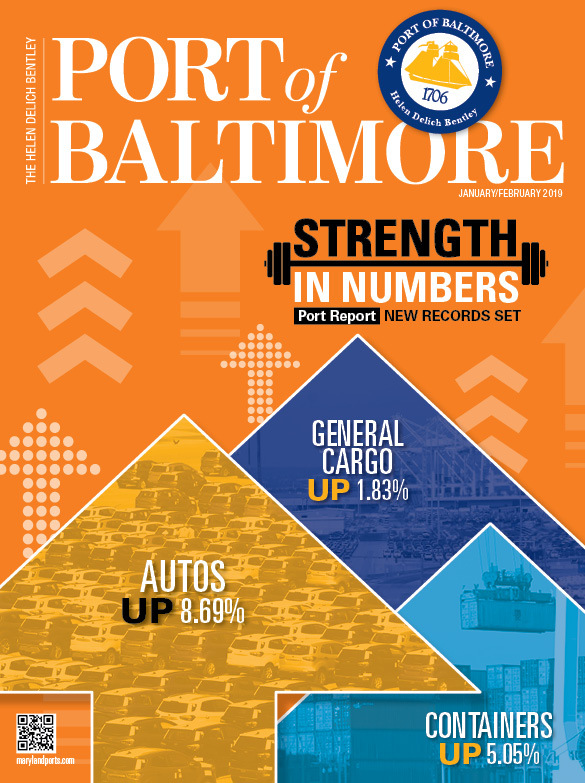 Among the nation’s ports, the Port of Baltimore ranks first for autos and light trucks, roll-on/roll-off heavy farm and construction machinery and imported sugar. The Port ranks second in exported coal. Overall, the Port ranks ninth among all ports for the total dollar value of cargo and 12th in foreign cargo tonnage.